Mumbai: Shares of Excel Crop Care rallied more than 12% on Tuesday on media reports that India’s Supreme Court had approved the export of its stock of endosulfan pesticides, which have been banned on Indian farms. The court banned the manufacturing and sale of endosulfan in May, pending receipt of a report from an expert committee set up by the government to review the safety of the product. “The court has allowed exports of the existing formulation stocks lying with different companies in India," Pradip Dave, president of the Pesticides Manufacturers & Formulators Association of India, told the news agency. Smaller companies will need to export the stocks through Hindustan Insecticides Ltd, Dave said. Likely markets are in Africa and Latin America, he said. 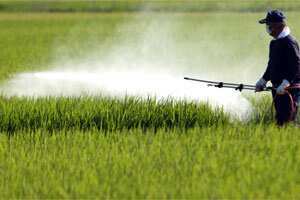 The court allowed exports of endosulfan raw material in September. Excel Crop Care is the largest Indian maker of endosulfan formulations, followed by state-run Hindustan Insecticides and numerous other small manufacturers. In the latest ruling, the court has allowed exports of more than 2.5 million litres of endosulfan formulations, media reports said. A copy of the Supreme Court order was not immediately available. Shares in Excel Crop Care closed up 12/24% at ₹ 145.30 in a firm Mumbai market.